College Bribery Confirm's FBI and Federal Government Pitting Celebrities against all others. According to News Reports, the FBI conducted a 10 year College Bribery Investigation. When it became painfully obvious early on to the FBI that the Very Rich were willing to pay to get their kids into certain prestigious Colleges, The FBI road the coat tails of a 10 year investigation rather than offer some type of guidance to colleges going forward. Why wasn't the desire of Wealthy Parents trying to get their kids into a certain college fulfilled in the most common sense and easily legal method available, and a method that would have not run up a 10 year FBI tab at Taxpayer's expense? The Media has created a "woe is me" meme among non celebrities while we all conveniently forget that each college already had wealthy benefactors whose donations make scholarships and other discounts available to those who cannot afford the full tuition price but may have good enough grades to be accepted. Did anyone offer Lori Loughlin a "Pay to Play" opportunity in which she could pay 1/2 million dollars directly to USC so her daughter could also then attend while paying an additional full tuition price? The real question that nobody seems willing to ponder, how many Students would a Wealthy person need to anonymously sponsor so their own Daughter or Son can be enrolled at the same College or University? If Lori Loughlin had donated 500,000 or 1 million dollars to USC for the privilege of allowing her own daughter to get in at full tuition price, why not allow her that option? Perhaps the tables might be turned and we might have colleges purposely not accepting applicants from wealthy families in the hopes they pay to play? Now THAT would be a real scandal and the kind the FBI should be investigating. What if a wealthy parent is willing to pay the tuition for a certain number of other kids just so their own kid can get into the same College or University? Maybe USC could pay forward a wealthy donation and use, as an example, a Loughlin donation to help fund 20 students at a fine Midwestern school. Would that be so terrible? It's ironic that we are creating a world where countries can trade their pollution credits, but we won't allow colleges to help each other out by allowing one student in if it means 10 or 20 others can get a scholarship. There is a distinction with a differnt to the entire College Bribery Scandal that continues to go undetected. Let's separate the Parents who WANTED to "pay to play" with the College or University if it were allowed, from those who truly wanted to sneak a Daughter or Son in by any illegal means possible at below tuition price, since that causes donations made by College Benefactors to be used by the undeserving. The distinction between the Wealthy Parent who wanted to pay to play, versus those who wanted to sneak their child in through bribery has not been the topic of discussion, and that is the real scandal. Until Pay to Play, or Pay to Enroll becomes an option, we as a society are basically putting fuel on the 1.5 trillion dollar Student Debt Problem. The 10 Ways ER Lawlessness led to the Death of the Sweetest Person on the Planet, my Mother. HIPAA Fraud by one ER Nurse on March 10, 2018 in an E.R. in the San Fernando Valley of Los Angeles County directly led to the Death of My Amazing 91 year old Mother 2 1/2 days later. 1. HIPPA FRAUD, Son asked Mother's ER Nurse to send Nurse Supervisor after ER Nurse Refused to check on his Mother's sudden onset of Wheezing. Instead the ER Nurse sent another Nurse in who immediately stated, "You are refusing to leave and you are keeping us from seeing other patients". This was a highly inflammatory comment to make towards us since my mother started Wheezing while in her ER bed and was not being checked for her worsening condition. The Nurse who tried to get us to leave seemed very nervous when she had walked into the room. It was as if my Mother's Nurse had ordered this other Nurse to try and get us to leave after I had specifically asked to speak with the Nurse Supervisor. Was this a conniving way to avoid getting the head nurse involved? Was this my Mother's ER Nurse's petulant way of winning and getting us to leave the ER without ever documenting my Mother's wheezing, which symptomatically was most likely the onset of pneumonia? How can an ER Nurse legally refuse to check my mother's sudden onset of wheezing? I pulled out my camera to document my mother's wheezing and the ER's refusal to evaluate my Mother's suddenly worsening condition. The Nurse immediately put her hand up to her face and with no discussion or giving me time to stop filming began loudly and repeatedly yelling "HIPAA Violation, you do not have permission to film me", as she rushed out of the ER Room and into the hallway where my Mother's Nurse was on a computer. My Mother's Nurse immediately called a Code Gray via intercom. I went into shock. I did not know what a Code Gray was, but I knew it could not be good and must be some type of violation. 2. EMTALA Violation, Refusal to treat sudden declining condition while my mother was on her ER Bed. 3. 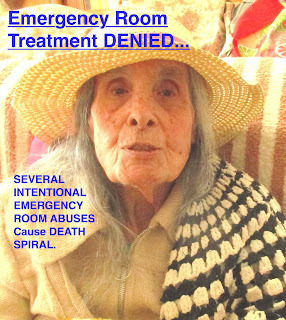 Elder Abuse, Refusal to treat Aged and Disabled Parent's declining condition while in her ER Bed which directly led to my Mother's death 2 and 1/2 days later. 4. 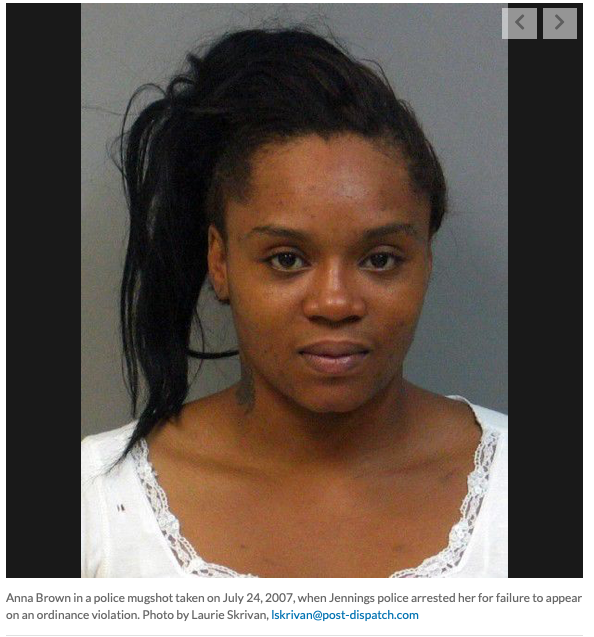 False Code Gray used to Falsely Imprison son in the ER room by claiming son was a "Combatant". 5. False Imprisonment. Son was detained in Mother's ER room. Doorway was blockaded by five or six nurses and Security Guard. Nurses had their arms folded as they blockaded ER room doorway. The Nurses refused to check on the welfare of my Mother, even though the pathway to her bed was completely unblocked as I was seated in an opposite corner of the room, pleading and begging for them to just check her wheezing. 6. Assault. My pocket video camera was forcibly removed from my hands by the Security Guard. 7. Destruction of Evidence. 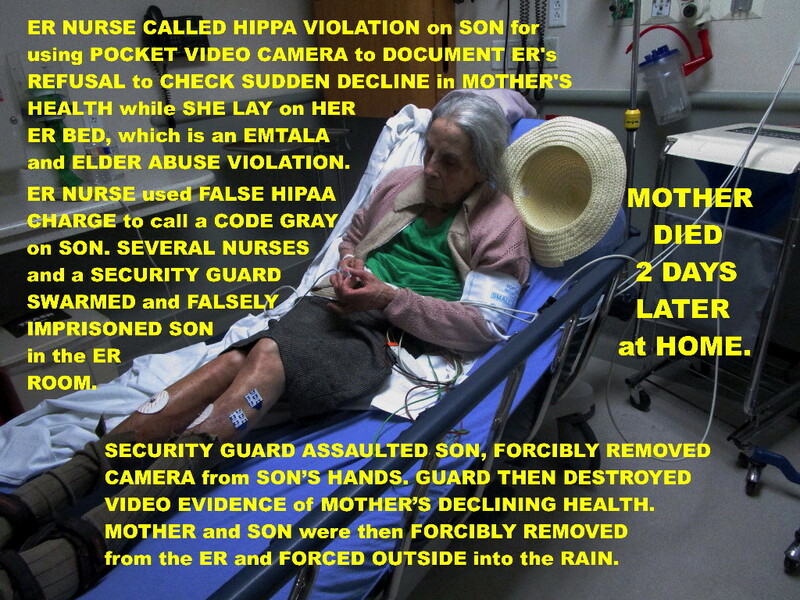 Son's Camera containing Video Evidence of ER's refusal to treat Aged and Disabled Senior was Forcibly removed from his hands and erased by Guard. Son repeatedly asked for a Nurse to check his Mother's Wheezing, all Nurses defiantly kept arms folded. All the group wanted was to erase the video, which the Security Guard did by force, and then force us to leave. 8. Incitement to Imminent Lawlessness. ER Nurse used FALSE HIPAA accusation to call a False Code Gray, leading to lawless acts by other Nurses and Security Guard as they mobilized against a "Combatant" threat in the ER when there was no threat. The Group as a whole detained me, refused to check on my Mother, and repeatedly chided me for keeping them from their own patients. 9. Psychological Abuse. 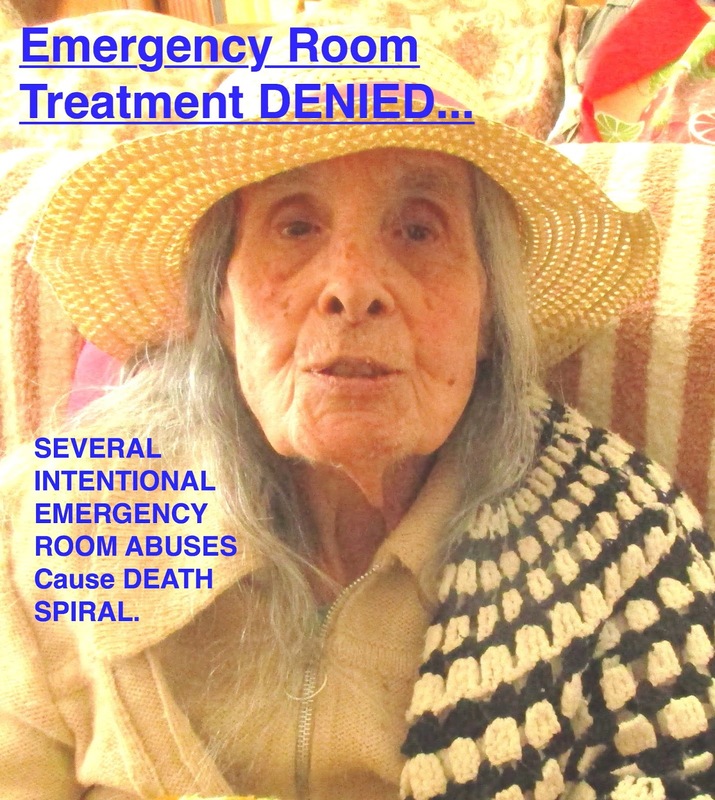 I was repeatedly scolded by multiple nurses who had blockaded my Mother's ER room after the Fraudulent Code Gray had been called for refusing to leave the ER room with my mother so other patients could be seen, even though my mother was in distress. I was also reprimanded and told I was selfish for keeping the Nurses Away from their own Patients. 10. Elder Abuse by Security Guard when Guard aggressively pulled on My Mother's ankle because she was too exhausted to get out of the Wheelchair, and again when she could not get into the car. If you believe in Rule of Law in the ER, I would like to see justice prevail for my Elderly Mother, whom I adored and respected for the honorable life she led. I also personally need to see justice prevail. I was treated as if I did not exist. My experience as my Mother's 8 year Caregiver was disregarded and ignored. I probably have some form of PTSD from reliving on a daily basis the ER's lawless actions, never understanding how my Mother could be treated like Garbage and her Caregiver Son be disregarded by ER personnel who were supposed to be there to save my Mother, not hasten her demise. I called Law Enforcement that same night to Report the ER for what they did to my Mother. The Police Officer who answered the phone was condescending, saying it was a civil matter between the Hospital and us. Nobody would call an ambulance for us from that point on. I've lost my mother, our home of 40 years may be next.. I just want to point out that My Mother and I were Gaslighted in the ER and when Gaslighting is administered, it can have severe psychological affects. The affects can be tolerated if one escapes and finds another place to fix the damage that was done. But when another place is not found, the damage is undescribeable. California Medical Board allows Doctor to keep Practicing despite NUMEROUS Complaints. And this is why it is wrong to have the California Medical Board govern its own members. Here is the Original Story Link. 20 Patients complained about the same doctor, yet that same doctor was allowed to continue to Practice. Wow. How Congressionally Approved Unfunded Mandates are Wreaking Terror and Death on Hospital Patients. The topic of Unfunded Congressional Mandates would make for a compelling Documentary. I am beginning to believe that it is Unfunded Congressional Mandates that mislead society into believing they are protected against violations of several medically based laws. The reality is, Law Enforcement in general won't investigate violations of various laws such as EMTALA, Incitement to Imminent Lawlessness, False application of HIPAA rules, Elder Abuse, Falsified Code Gray Alarm, False Imprisonment, Assault, and Destruction of Evidence if the perpetrators work in an ER or Hospital. The Damage being done by lack of enforcement of the Medically related Unfunded Mandates mentioned above are far reaching. By not funding / enforcing basic common decency and protection of Hospital patients from illegal acts by a Rogue Nurse or Doctor, especially against the elderly, Accusations are dropped if they are made by non-minorities, and if the accusations are made by minorities, they are recategorized as being racial in nature. The re categorization of the Violation of Medical Laws into racial charges divides the country. How is a "non-minority" supposed to feel when a minority is charging racism for a medical violation of the law when the non-minority had the same thing happen to their own family member or loved one? If the identical abuse of Medical Laws happen to both a minority and a non-minority, but the minority files a claim of racism in court, what is the non minority supposed to file? If the non-minority files a claim of racism in court, I am pretty sure if anyone on the jury is a minority, they will not necessarily be sympathetic to the alleged racism accusation of the family or the victim of a non minority. But the non-minority's only other option will be to sue and pay a private attorney a lot money. Minorities may mistakenly be thinking that the non-minority will have law enforcement watching their back, and that is just not true. Whether planned or not, the lack of funding for Congressional Mandates regarding the safety and proper treatment of all citizens in the Hospital and ER has helped create an ongoing air of divisiveness between all ethnic groups. What is a non-minority supposed to think and feel if they are on a jury for a case about racism when the EXACT same thing happened to someone in their own family and the non-minority has been led to believe that they can't file racism charges but a minority can? Since Congress has not funded enforcement of health related mandates, the non-minority's only recourse is to pay for a lawyer, assuming they have the funds. A non minority cannot make a claim of racism even if they are the victim of the exact same mistreatment as a minority. The result is minorities and non-minorities have been pitted against each other while Congress makes themselves look good by publicly clamoring that they expect several Health related laws and rules to be enforced, even though no funds have been allocated to law enforcement to enforce these necessary laws. My dear, sweet, 91 year old mother was basically killed after ONE ER Nurse broke as many as 9 Laws by not treating my mother when her condition worsened while she was on the ER Bed. It's a nightmare I will never forget. I am pretty sure I have PTSD because of how my mother was mistreated. Finding out that Law Enforcement won't investigate was another crushing blow. In the future, whenever I hear about racism being the reason one person dies in the ER and another one does not, I will think about my mother and realize that racism accusations are preventing people of all races to unite and complain to the government about the government's role in making themselves look good by creating laws and guidelines that they do not provide funding for. 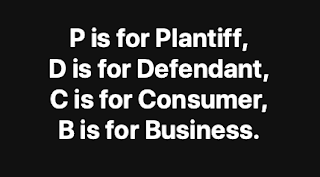 If there is a law student or lawyer or law school professor who really wants to make a difference, lets sue the Federal Government for not funding Health related mandates that have fooled the public into believing they are being protected, when they are not. This was my Mother, just before she started wheezing in her ER Bed. The ER Nurse ended up breaking NINE LAWS just so she could avoid adding anything to my mother's medical report so there would be no proof of her wheezing. When I pulled out my camera to document the ER's refusal to triage my mother's wheezing, a HIPAA violation was called on me, a Code Gray was then called on me, which means Combatant in the ER, and our room was swarmed by six nurses and a Security Guard. We were imprisoned in that room until my Video Camera was forcibly removed from my grip and the Video was erased, aka destruction of evidence and assault. We were then forced to leave the ER and into the rain under Security Guard accompaniment. The shock of seeing all those nurses treat me like a combatant, their arms crossed, refusing to check my mother out, haunted me and paralyzed me. Their taunts of us preventing them from seeing their patients also haunts me. Other things happened that were equally disgusting by other members of the Medical community, and my mother died less than 3 days later at home without ever being properly treated for her wheezing. The one ER Nurse was able to use Incitement of Imminent Lawless by others to get her way, which directly led to the death of my Mohter. Congressional Bill to Ban Confiscating Drivers Licenses of Student Loan Defaulters Mired in Congress. Not sure it helps anybody to deny a basic method of travel, the car, for those who have defaulted on Student Loans. It seems like a violation of the Constitution to restrict a person from earning a wage just because they have defaulted on Student Loan Debt. Let's hope Congress can pass a bill that would stop the confiscation of Driver's Licenses based on a Student Loan Default. Apparently 20 to 22 States can confiscate either a professional license, a Driver's license, or both, if a Student Loan goes into Default. That just seems to defy the Constitution. Marco Rubio and Elizabeth Warren have co-authored the Bill. Considering President Trump has himself benefited from hundreds of millions of dollars of debt forgiveness, hopefully President Trump will support this measure as well. Congress needs to Fund a Medical Police Officer for every major Hospital in the U.S.
No patient or person who accompanies a patient to the ER should ever feel like they are being threatened by ER personnel. No patient or person who accompanies a patient to the ER should ever feel like they have nobody to turn to when they feel the law is being broken by actual ER personnel. My Mother and I were put through a torturous situation in the ER that directly led to my Mother's death. I have been able to deduce that between 7 to 9 laws were broken by ER personnel, along with gross misconduct by others. If just one person out of the over a dozen personnel I interacted with over the final 3 days of my mother's life had taken my mother's best interest to heart, my mother would most likely be alive today. If I just could have pushed a red button in my mother's ER room when the abuse from ER personnel started, oh wait, the abuse most likely would not have even occurred. And that is my point. People should have an unbiased advocate with medical training, aka Medical Police, available in the ER to prevent illegal actions by ER personnel from occurring. Because of my mother's age, she was 91, no lawyer is even remotely interested in the 9 violations of law that directly caused my mother's death. Lawyers actually hate when too many things conspire to kill a person because it means everyone can pass the buck to someone else. Make the person 91 years old and its game over, no justice for my Mother and her son. I called law enforcement after my mother was denied treatment and they literally said it was a civil matter between us and the hospital. How can being denied life saving treatment, and refusing to recheck my mother's vitals, be considered a civil matter when the ER is where a person is supposed to go? After that harrowing encounter in the ER, followed by a pointless stop at a pharmacy to pick up a medicine that could not be given because it was in conflict with another medication, followed by a trip to the Urgent Care and reluctance to call for an ambulance even though my Mother could no longer walk she was so exhausted from having walking Pneumonia, followed by a trip to a second pharmacy for Amoxicillin, followed by taking Mom home, I called the first responders and left a panicked message. It was now around Midnight on a Saturday night and I got an answering machine. The Answering machine gave no warning that the record time was running out. So I left a second message and once again the machine cut off all at once. I left my phone number on the third message. I was in distress, it was obvious from my messages. I thought the first responders would call back on Sunday or Monday, they never called back. I know the first responders heard my messages because when my mother went code blue at home 2 days later, these same first responders showed up and the first thing the guy with the curly hair said was..... SHUT UP! I was not allowed to say one word. I later deduced that this guy must have heard the recorded messages I had left, when my mother was still alive, and took "offense" to my not understanding why my mother's pneumonia symptoms were not mentioned to the ER when they brought her in. The man with the curly hair must have literally dropped her off in the ER and said nothing about the Walking Pneumonia I was certain my mother had. Apparenty I had "offended" the curly haired man, the ambulance driver with my long, distressed messages left over the weekend after the nightmare in the ER had occurred, I can only guess it might have been for asking why they didn't relay my information about my mother's pneumonia to the ER. I just wanted them to call me back so I would know what to do next, when they didn't I became fearful. I had already had a false HIPAA and false Code Gray called on me in the ER. Now both the POLICE and the Emergency Responders had basically blown me off. As my mother lay dead, in our home, the first responders tried to revive her. This same curly haired man STOPPED THE AMBULANCE on the way to the hospital, with my Mother having CPR being performed in the back of the ambulance, got out in slow motion in the middle of the street, and told me not to follow. I have never followed an ambulance before in my life. I had told them I would follow before we left, nobody objected, they were only going about 20 miles an hour, I was a safe two seconds behind them, there was no danger to anyone at that slow speed, plus they said it was ok to follow them. The curly haired man was so deranged he must have mistook my turning on my lights as a sign I wanted them to go faster. I just turned on the lights so that I could be more visible, to be safer. The Curly haired man must have seen me turn on the lights because within a second or two the ambulance came to a stop in the middle of the street. I had been behind for the past 3 minutes, why stop now just 1/2 mile from the Hospital? It was because I turned my lights on. The curly haired man must have thought I was telling him to go faster and he was having nothing of it, so he stopped the ambulance with my dead Mother in it while a team tried to revive her, so he could saunter in slow motion getting out of his car to scold me for following. Imagine having an ER Nurse call a false HIPAA violation on me, then another Nurse call a code Gray on me, for what, for pulling out my camera to document their refusal to triage my mother's wheezing, which started while she was on her ER bed. Then that night the police I called on the phone tell me it's a civil matter and to leave the police out of it, then the emergency responders do not even respond to my phone messages. What was I supposed to think. Where was I supposed to turn to? Yes, I spoke with my Mother's doctor the day before she died, and that was probably what sealed my mother's fate. Facebook Page for Mom with her Videos. All of this insanity could have been prevented if I just could have pressed a red button on the wall of the ER room and had an ethical person with a medical background, A Medical Police Person, review what was going on. I cried while writing this, I had a PTSD moment as I re lived how one nurse could Incite five other nurses to imminent lawlessness by making a false Code Gray charge when all I did was pull out a camera to document that they were not going to acknowledge or triage my mother's wheezing in the ER. My Mother would be alive today if we had one Medical Police person in each major hospital, and a red button on the wall that I could have pushed when our room became blockaded by a cadre of Nurses and one Security Guard who had no interest in checking on my mother's wheezing, just forcibly removing the camera from my hands and then erasing the video I had shot of my mother's wheezing, and then forcibly removing us from the ER. Labels: EMTALA Violation, ER, ER Nurse, False Code Gray, False HIPAA Violation, Illegal Actions, Medical Police, Red Button, Wheezing. 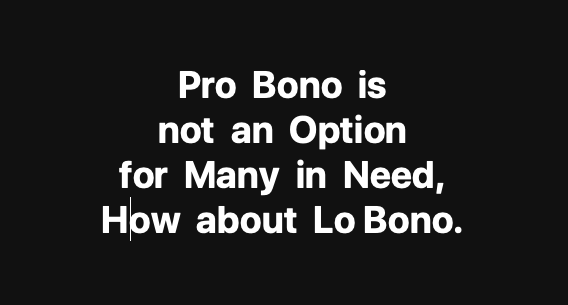 Pro Bono is not working, how about adding Lo Bono? Pro Bono is an elusive legal service that The Bar loves to promote. Do you have a Pro Bono story to share, please share it in the comments section. My opinion about Pro Bono is it helps those who have been evicted, victims of spousal abuse, wrongfully convicted, and Immigration issues. The problem I have with Pro Bono and Immigration issues is it is a never ending abyss that once a law firm or free legal aid service is ensnared in, the firm basically shuts out other types of victimizations that are worthy of help. Maybe it is too foreboding of a task to do pro bono because a law firm can only help one person at a time. Are law firms trying to help the afflicted on a national level?Presently there are many dire situations involving the elderly, their medical rights being trampled upon with no fear of prosecution by the medical industry violators, which just emboldens the medical industry violators who in many instances believe they are above the law. Pro Bono could do more to help families who are losing all access to a special needs family member because of the conservator game and questionable Guardianship tactics that ensue. If I could wave a magic wand to make something happen, I would like to see a Lo Bono Network established that would offer services at the lowest possible price. 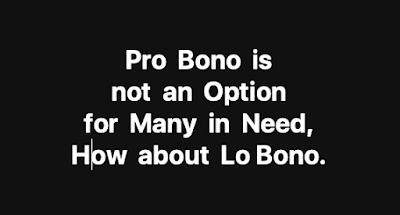 We read about the low hanging fruit of Pro Bono that is just not available, but we never hear of Lo Bono services. Imagine a law firm offering quality internship aid that is overseen by an experienced lawyer for 75 to 100 dollars an hour. Or Expert Testimony that charges a very modest fee by the day rather than an hourly fee that starts from when the expert leaves their home and does not end until the expert returns home. The next time anybody dangles the concept of Pro Bono be aware that in many cases, especially for the aged and disabled or the blue collar family with a special needs child, it may just be feel good talk. Remember to ask yourself, why is Pro Bono even talked about when so little of it is available. Perhaps Pro Bono is a clever method to distract the public from a much more realistic concept, Lo Bono Services. Did Taylor Swift's Court Case that sought one dollar in retribution create a Court Precedent? I am not a lawyer but I have often wondered, can a case be filed after the deadline has passed to collect monetary damages, for the express purpose of being able to legally claim that the Defendant committed harm to another? Many times when a wrongful death occurs the family has to deal with the shock, possible loss of income if the victim had income, cost of the funeral, emotional outrage, and being ground up by the legal system that always seems to have a reason to not litigate. The result can be that a proper legal filing just becomes too daunting of a task. But what if a few years later the family has rebounded and has money available to file a claim against the parties that allegedly caused an avoidable death but the filing deadline to collect damages has passed? Most of us have been led to believe that when a filing deadline has passed, no filing can be made. I would suggest that if a case cannot be filed once the monetary deadline has passed, that a precedent was set when Taylor Swift sued for one dollar. Whether Swift filed before any deadline, or after, by seeking one dollar the case was no longer about monetary compensation, the case was about justice according to Ms. Swift's version of events. Taylor Swift was unable to collect a reasonable amount of money for damages, yet she proceeded with the lawsuit anyways. I see this as a precedent so that going forward, a case can be filed even after a deadline as long as the Plaintiff is not seeking a monetary verdict. There is value in being able to legally state that a specific person harmed another, the value being not being sued for slander. So if anyone out there has been told that they are too late filing a case, but they can afford to file the case anyways, there is value in getting a verdict in their favor since it can save them from being accused of slander for speaking the truth. If you agree or disagree, please leave a comment and if you can, identify if you are a lawyer or not. How the Monitoring of Social Media Comments by Insurance groups and the Medical Community Might Backfire. 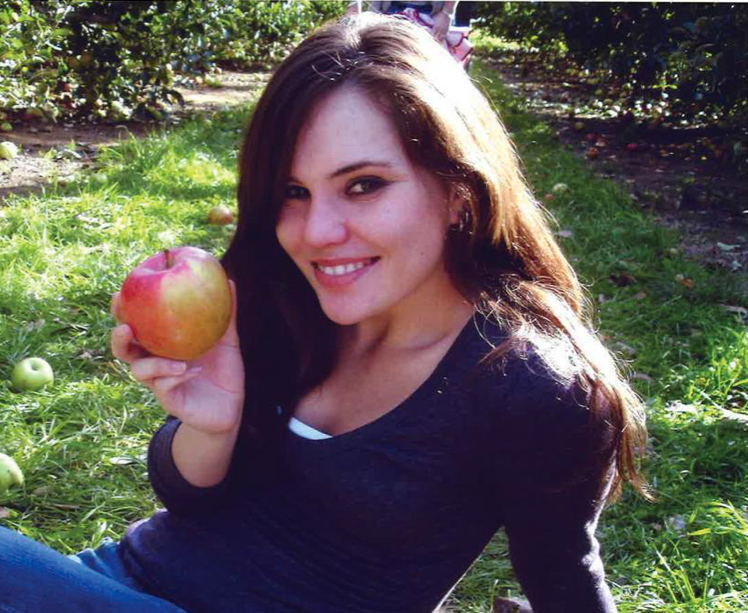 The advice written in this article, and on this blog, Sensiblelaw.blogspot.com or anywhere on the Internet by Alessandro Machi may have value to Med Mal Attorneys who represent the Victims of Med Mal. Any use of my information by a Med Mal Attorney provided in this article or any other article I, Alessandro MachI have written on this blog, or anywhere else on the Internet that is used to garner a large settlement, I am requesting 5% of the settlement go to me, Alessandro Machi. My goal is to one day file my own lawsuit that will help protect the elderly, so any compensation I receive from benefiting others has the possibility of going back into the legal field via a new lawsuit that will help protect seniors. I believe I once helped a law firm get a 1.9 million dollar settlement and I wasn't even credited, which has limited my influence and reputation going forward. If social media medical comments are being monitored by the Medical Industry and valid complaints are being raised within those comments and no effort is made to correct the valid complaints by those who read the comments, then the Medical Industry could be liable for not fixing problems they were made aware of. Example, a lawsuit is filed about a Nurse who refused to triage a patient who was declining while in the ER bed. Comments are made online about what happened and those comments are used by Insurance firm Defending the ER to try and have the case thrown out. The plaintiff's attorney would then file a motion to see every comment ever monitored by the Defending Party and their law firm representatives. If comments and complaints were found that would have educated the Hospital on how to improve their service, and the advice was not heeded or put into action, then the plaintiff's attorney could bring these examples to court to prove the Hospital was unwilling to fix problems they were made aware of. If the Hospital did heed social media comments and complaints and made improvements, that also proves the Hospital previously had laxer standards. I believe Attorneys have never thought of this because to this day Attorneys warn their clients to not say anything in public. Writing TRUTHFUL comments online can be the righteous thing to do because it raises awareness, allows victims to connect with each other, and creates discussion with the goal of ending reprehensible behavior, and provides much needed education and feedback to the Medical Industry. Quashing TRUTHFUL discussion on the Internet would allow the Medical Community to keep replicating the same mistakes over and over and then argue they were following policy. As long as the commentary on the Internet is truthful, the commentary cuts both ways, the Medical Industry that monitors online comments and does nothing about it is liable as well. I believe that most if not all law firms haven't considered attempting to quash a defendant's h truthful comments or complaints opens up those who Monitor the Internet for comments and complaints to release all the comments they have reviewed, and further opens up the Defendant to discuss if they have ever used social media comments to improve their services. No matter how the Defendant answers, it can be seen as a negative. Whereas the way it stands now is, all comments by the victim or the victims family is seen as a negative, this needs to be flipped. According to ProPublica, Attorney's won't Touch 9 out of 10 winnable Med Mal Cases in the U.S. 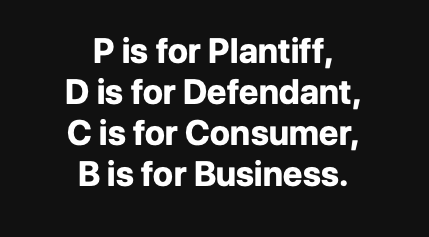 Please read for yourself about the 90% of cases our beloved legal industry won't touch even though they are actionable and winnable malpractice cases. 30 Types of Patient Safety Violations that Law Enforcement won't Investigate. I've come up with 30 various forms of Patient Safety and Fairness Issues and If I sleep on it I might come up with a few more. But as I look at the list, mistakes are going to happen. My concern is the line seems to be blurred when it comes to medical errors. Some mistakes on the list are relatively minor errors, some can cause death. But it seems no matter what goes wrong, it's as the medical mistake will be denied. Learning to always deny can then accelerate the instances in which blatantly illegal actions occur increase because the ER personnel know they are above the law, and above law enforcement investigations. I'm not advocating that we start putting medical people in jail in record numbers. I am advocating that when they lower their ethical standards and then hide what they have done, they need to be investigated. Donald Trump wants a Space Force. I am suggesting we also should have a Medical Police Force who help keep Hospitals running at a certain standard. Heck, A Medical Police Force might not even have to carry a gun. If an ER is intentionally denying treatment to a patient in decline, wouldn't you want a big red button in each ER room that a patient or their rep could press and have the Medical Police intercede? Examples of Medical Mistakes that won't necessarily raise an alarm or a red flag. HIPAA Violation Accusation by Med Staff against Patient Rep.
Elder Abuse by Med Staff that isn't Investigated by Police. False Imprisonment in an ER, Hospital, or other location. Denial of Service when patient is not stable. Lack of Attorneys to take Viable Medical Cases. Attorneys with Insurance Ties posing as Patient Advocates. Lack of Journalistic Interest until a legal filing is made. Lack of Free Legal Aid or Pro Bono for Medical Victims. Lack of Low Bono Attorneys who work for cost only. Lack of Low Cost or No Cost Expert Witnesses. Med Mal Insurance Needs to be Partitioned into three different coverages. Possibly one of the biggest scams perpetrated on American Citizen's wronged by the medical community is Med Mal Insurance. Med Mal Insurance appears to be one size fits all. If a Doctor makes a medical "mistake" and the mistake results in death or suffering, the mistake is treated no differently than if a medical worker breaks a law that results in death or suffering. Nor is a distinction made as to whether a law was intentionally broken, or if it was an honest mistake that led to a patient's death or suffering. The result is all Medical Transgressors are equally protected. Law breakers and intentional ethics violators are treated equally and protected equally with those who make an actual medical mistake. Many victims of medical errors are unable to get justice of any kind since the Med Mal Insurance industry is so large and probably follows the credo of protecting all within their umbrella, irrespective of the intention of the alleged medical transgressor and irrespective of whether or not they broke any laws. Hmmm, that last part is somewhat interesting, no? the Med Mal insurance industry that protects all equally, irrespective as to whether or not the accused broke a law, and if they broke the law, intentionally or not. Why hasn't this aspect of Medical Malpractice been challenged in court? Can Med Mal actually legally protect those under their auspices that have broken the law? Would we all not be better served if Med Mal insurance was broken up into at least three Med Mal Insurance prongs; Prong number one, It was either not a mistake, or it was an Honest Mistake, Prong Two, Broke the law but did not realize it, Prong Three, broke the law and the law was so obvious there is no justifiable excuse. What if an attorney attacked the Med Mal Insurance Industry on the grounds that it was protecting lawlessness specifically because Med Mal Insurance is not partitioned? If Med Mal was partitioned, then negotiations could be done if the issue of lawlessness came up. Right now it appears each State's Medical Board has far reaching power that allows the Medical Board to not consider lawlessness, meanwhile law enforcement has ceded authority to the Medical Board in many States, perhaps all States and ignores medically related law violations until notified by the very entities that may very well be reluctant to turn in their own. The one size fits all Med Mal Insurance has ground medically related mistakes and lawlessness to a halt in the United States. The shock of being told by law enforcement they won't investigate intentional violations of specific laws by medical personnel, or Paramedics refusing to intake any information from the caregiver who made the call for a person too ill or infirm to make the call themselves, is soul sucking at its worst when the victim dies as a direct result of medically related lawlessness and intentional insincerity. A Sensible Law that would make a Difference, Lawyers helping In Proper Filers. A law I'd like to seen enacted, If a person attempts to get legal representation from three different law firms and is rejected, that person shall be granted special In Proper status by which they can legally get assistance from any law firm or a lawyer without assistance being construed as a violation of the law. As it stands now, Law Firms won't take many winnable cases, some estimates are as high as 90%, because the law firm is constrained by med mal caps that have not been adjusted for inflation for the past several decades. Victims and the relatives of victims are basically victimized again by a system that won't litigate egregious wrongful actions of others, moreso if the egregious action is perpetrated by those who know better, aka professionals. Yes, Law Firms will swarm to sue private citizens who make a mistake, but Medical Professionals who make intentional mistakes are given a free pass, over and over and over again. Law Enforcement won't get involved, Law Firms won't get involved, the private citizen has to learn to accept sub standard treatment. The Elderly are in Danger and very few in the Legal Field seem to care. There are legal arguments to be made on behalf of the elderly that can circumvent the age equals monetary value cap that most attorneys seem to ascribe to. EMTALA violations are not covered by Med Mal Caps yet most attorneys seem unaware of this. 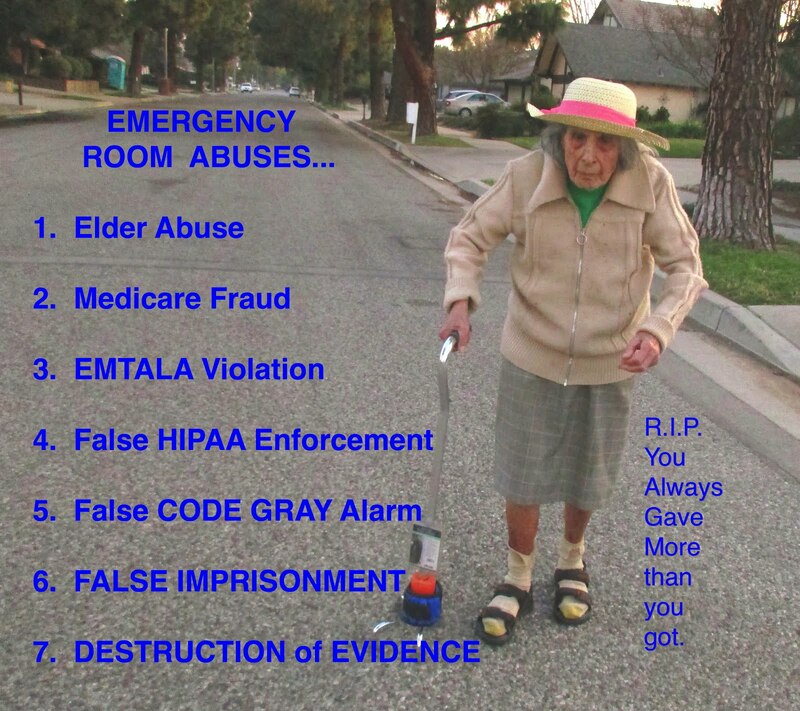 EMTALA violations are also considered elder abuse and most attorneys seem unaware of this as well. I am hoping it is rare, but a savvy ER nurse can game the system against the elderly by claiming HIPAA violations as a reason to call a Code Gray. Code Gray's are the secret sauce that allow ERs to control situations to the point of lawlessness. Incitement of Imminent Lawless action by one ER Nurse can cause the demise of seniors. I know, I witnessed it first hand. Why is unsecured debt so easily converted to secured debt in a court of law? Why do American courts allow an unsecured debt to be converted to a secured debt? This seems pathologically wrong. This also seems to make the credit card luring process riskless (other than credit card fraud). So why are credit card companies charging higher interest rates if they can convert an unsecured credit card debt to a secured debt? If the debtor agrees to pay the debt once they start working and they put their intent in writing, why does the court feel compelled to step in and convert the unsecured debt to a secured debt and in the process put the debtor on the path to financial suicide? When constructing an agreement with a debt collector, the debt collector won't even give 30 days for the agreement, they only give until the end of the month, so sometimes the short turnaround time is used to claim that the debtor reneged on terms. This is just appalling. How to fix what is wrong without getting a Law School education. The cost to attend law school creates intense narcissism in the students who make it through. Hugely in debt, no real job prospects other than once again starting at the bottom and trying to work their way up, I am of the opinion that many law students develop crappy attitudes. I think there is a solution however. START YOUR OWN PARALEGAL COMPANY. An ideal way to break out of the typical law student self-induced narcissism is to help others in your field, and actually make some money while doing it. As time goes on, some interesting things will happen. You probably will have interactions with various law firms who maybe didn't even want to hire you when you first groveled with them for a job. You probably will end up helping people who are in pro per and pro se get their cases aligned. These clients, who maybe did not have tens of thousands of dollars to beg a lawyer to take their case, may actually have a grand or two available to spend with you. You will begin to learn the nuances of the law, how different firms handle their paperwork, how judges react to various motions, and you will find out which cases win, and which ones lose. The key is to not be so far in debt that opening a paralegal business won't even pay your expenses. Eventually, the contacts you make could put you in a position to either continuing to grow your paralegal business, or to step off and into the position at a legal firm that you wanted all along. It would seem to me that if I were hiring for a law firm, and I saw a year or two of experience successfully running a paralegal business along with a solid law education, that that is the person I would hire. Exciting announcement regarding our case. I waited as long as possible. The insurance company is demanding the case be thrown out of court because we have not appeared at a deposition conveniently located at their building, which is over 25 miles away and because an exchange of evidence has not been happened either. The judge had mentioned that speaking at the prior court hearings without an attorney is probably not a good idea. However, I have given up on finding an attorney for now, so I filed a response myself. I have no idea ifwhat I wrote down will have any meaning in court or not. However, I did, and now I am waiting to see if the opposing side responds by tomorrow, or if we appear in court soon and see what happens. So what is the exciting announcement? That I went ahead and filed a response.